This patient just turned 60 and was unhappy with her existing smile. She had upper 6 crowns done 20 years prior. With the significant upgrade of cosmetic dental materials & procedures, she wished to learn her options for a brighter, wider smile also closing the black spaces that developed between her teeth over the years. After her complimentary consultation with Dr. Friedman & Jessica, she scheduled for her smile make-over consisting of new upper 8 porcelain veneers & Zoom whitening for her lower teeth. 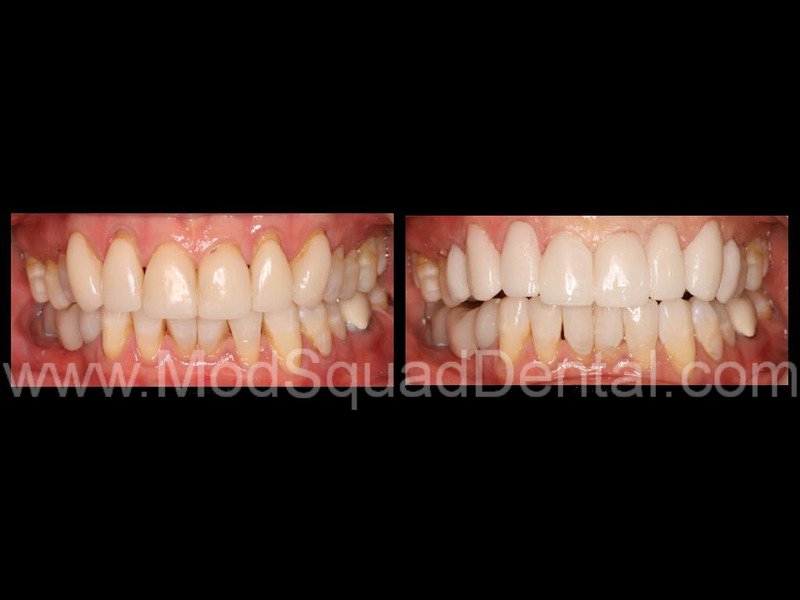 Adding 2 additional porcelain restorations to her smile widened her smile and gave the patient a more natural appearance.